Save Starlight is a 501(c) 3 non-profit grassroots organization. Our Goal is to refurbish and reinvigorate Starlight Bowl as a multifaceted hub for San Diego community performance, events, and education. 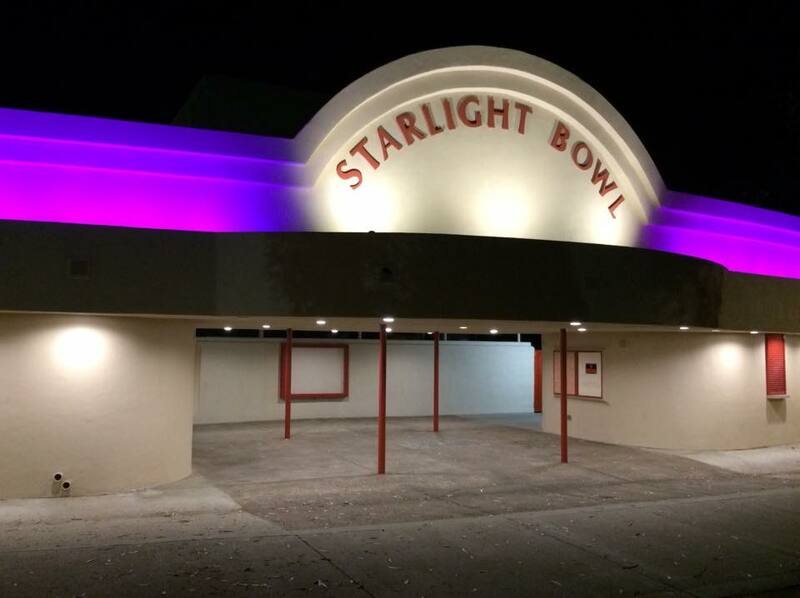 Save Starlight is an initiative working to restore, revive and revitalize Starlight Bowl—an open-air amphitheater in the heart of San Diego’s Balboa Park. The Bowl has been closed since 2012, and has fallen into disrepair. We envision a venue for open-air performances, concerts, cinema, festivals, plays, community events, and musical theater. We imagine a new generation of diverse performances, a stage for the San Diego community hosting magical entertainment experiences. Our goal is to preserve the Bowl’s heritage, ensure accessibility, and use creative technology to address opportunities and challenges for its location and architecture. Once our space is up and running, performers and organizations from throughout San Diego county will have access to our venue with no upfront cost. Our organization will only collect a small percentage of ticket sales to cover operating costs with the rest going back to the performers or event organizers. This will enable local schools and organizations who may not have an up front budget a cost effective means to do events and performances. We believe the Starlight Bowl should be for everyone, and it is our goal to make that the case! The Ford Bowl was commissioned by the Ford Motor Company for the 1935­-36 California Pacific International Exposition. In its early days the Bowl was home to symphony concerts broadcast via radio across the country, and other events. The name was changed to Starlight Bowl in the 1970s. The Bowl is probably best known as home to the SD Civic Light Opera Starlight summer musicals most seasons from the late 1950s until 2012. Since the SDCLO folded in 2012, the Bowl has languished and fallen into disrepair. The development of our interim performance platform The Palisades Stage. Our stage will not only help activate the South Palisades, it will also provide opportunities to our community to host family friendly entertainment. Bringing back Starlight’s concessions with a new twist! - better and healthier food options. The creation of a media center accessible to students across the county. Our goal is to empower students with an interest in the creative arts. Through seminars and a hands-on experience with state-of-the-art technology, students gain the tools they need to pursue a future utilizing multimedia arts, and have the opportunity to connect with Balboa Park. *Our ultimate goal is to bring many opportunities to our community while simultaneously raise support and funds to create a sustainable footprint for Starlight. Of course, the more we raise, the faster we can rebuild the space to make Starlight the hub for San Diego family entertainment! This is going to be a multi phase process that will eventually result in the full restoration of this 3,400 seat amphitheater. What about the plane noise? Still have questions? check out our FAQ's sheet! Save Starlight—a 501(c)3 nonprofit organization—is a grassroots initiative led by a team with experience in theatre technology, urban culture, community production, urban revitalization, historic preservation, and sustainable business. Our growing team has a deep commitment to the heritage of the Bowl and surrounding park. Our DIT (do it together) spirit is generating collective momentum across San Diego for this vision. Steve Stopper is the former audio technician for Starlight. He currently runs the largest audio, video design service, in San Diego, with customers ranging from the NFL to the Navy. Stopper is also the founder of The School for Creative Careers, a nonprofit focused on giving students experiences in real world performance art environments. Mary Karo was a member of the San Diego Symphony, San Diego Opera and California Ballet Orchestras and created the Festival String Trio, Quartet, and Orchestra. She was a leader and musical contractor for Starlight Opera for 5 years and subsequently for San Diego Lyric Opera. Stan Canaris recently retired after 36 years of service within the Sweetwater Union High School District as a teacher, football coach and dean of activities at various schools. He oversaw the opening of Eastlake High School in 1992 and served as vice principal before assuming the role of principal in 1995. It was under his leadership that the school, then the newest in the district, earned recognition as a California Distinguished School as well as numerous athletic banners. Upon retirement, to honor him and his contributions to the District and the community, Eastlake High named its athletic stadium Stan Canaris Stadium. He also taught and was head football coach at Hilltop High, taught at Sweetwater High School, and served as dean of activities at Mar Vista High School. Stan is a life-time member and Vice President of Eastlake Education Foundation. He has received numerous awards over the years. Highlights of these are: Administrator of the Year at Sweetwater Union High District, San Diego Proclamation, Coach of the Year, Certificate of Congressional Recognition, Recognition from President George W. Bush. Kevin Charles Patterson comes to San Diego after an extensive career in the performing arts which has taken him on tours for productions around the world. He is also the Executive Director of the San Diego International Fringe Festival as well as the Nations of San Diego International Dance Festival. He is a graduate of the University of the Arts (formerly Philadelphia College of Performing Arts), where he received a BFA in Theatre/Dance. Ed Hollingsworth is an actor and a retired teacher. He appeared in 35 productions at Starlight, starting in 1980. His wife and all four of his kids have performed at Starlight. He met his wife on the lawn by the back parking lot of Starlight on September 2, 1982. He proposed to her in the same spot one year later. Starlight is a major part of his life. Chris Parks is a proud native of San Diego, attending Helix High School, Grossmont College, and graduating from San Diego State University with a B.S. in Finance. Chris has enjoyed a diverse background of business experiences including owning and operating the Ultimate Cup and Javacup coffee house, 11 years in account management and business development with Office Depot’s Business Services Division, and 11 years as National and International Sales Manager for a local San Diego manufacturer, specializing in placing consumer packaged goods and products into large retail chains. In addition to serving on the Save Starlight Board of Directors, Chris’s passion for giving back has guided him to serve in roles with the Alumni Association of San Diego State University as General Board Member, Executive Board Member, and as VP of Professional Events & Development for the Business Alumni Network, and as VP of Development for SDSU Alumni’s Board of Advisors. He also serves on the Basket Brigade of San Diego Board of Directors, bringing holiday meals to families who can’t afford it. He has also organized and participated in home builds for needy families South of the Border. Chris was a season ticket subscriber of Starlight Theater and has great memories attending countless events with his parents, family and friends. He is excited about the opportunity to restore this City jewel back to greatness! In his spare time, Chris enjoys travel, photography, golf, personal growth, volunteering, and playing drums. Steve Kader is a longtime San Diego resident who grew up in a family surrounded by diverse cultures and an appreciation of the arts. His background includes work as a performer, radio personality, artist management (The B-Side Players), entertainment journalism, and writing album liner notes for major record labels. This experience led him to the field of talent buying with long tenures in the past 25+ years at venues as 4th & B and The Birch North Park Theatre and tenures in recent years as The SDCCU North Park Festival Of The Arts and The Centre/Lexus Of Escondido Concerts. Currently he is involved in this capacity with The Adams Avenue Street Fair, Adams Avenue Unplugged, and The Imperial Avenue Street Festival. He has booked such artists in the San Diego market as Willie Nelson, Jack Johnson, Slayer, Thievery Corporation, Allen Toussaint, Kenny Burrell, Wilco, Siouxsie & The Banshees, The Flaming Lips, Juanes, and The Afro-Cuban All Stars. In addition to talent buying he is an independent contractor for the NAMM Oral History Program/Library and involved as an artist consultant to aspiring artists who share his passion for music. Welton Jones has been involved with San Diego arts and entertainment since 1966, as a theatre and music critic for The San Diego Union-Tribune; as a playwright, director and producer at many venues; and as an activist for innumerable cultural projects. Diana Cantu is an international business development executive with extensive experience in the intersection of technology and the arts/humanities. Currently she’s a consultant specializing telecommunications, broadcast, and multimedia distribution infrastructure. She also has served/currently serves in leadership capacity on boards for nonprofit arts organizations. Gloria Parker has been a part of projects that changed the “event” history in San Diego. At age 16, she started with the San Diego Chargers 1961, followed by the San Diego Sports Arena 1966, San Diego Gulls WHL Hockey 1966, the NBA San Diego Rockets 1967-68, moving forward to the first Holiday Bowl 1978, All-Star Baseball Game 1978, and the Super Bowl XXll 1988. For 18 years, she was Assistant to Chairman & CEO of a multi-million-dollar manufacturer located in San Diego for the gift industry in the U.S. U.K., and Canadian marketplaces. Although non-partisan, in 1996 she was tapped to staff the Republican National Committee (RNC) office of attending President Gerald R. Ford and his staff. For the past 18 years she has been involved with most of the larger San Diego charities that have produced luncheon fashion shows and galas. Janelle Woodard Graduated from the University of Southern California (USC) achieving a B.A. in Communications with an emphasis in Business Marketing and a Minor in Fine Art History while interning with the American Federation of The Arts (The AFA) in New York City. Upon graduating and returning to California she was a Media Account Executive for Honda through Rubin Postaer and Associates. Her career then led to the Five-Star resort, Stein Ericksen Lodge where she was the Sales and Marketing Manager and Corporate Event Planner. She then secured the role of International Sales Manager for the Park City Chamber allowing her to travel abroad marketing the area and the Olympics Games. In 2015 she founded the North County chapter of the Non-profit Teen Volunteers in Action (TVIA). Where she currently is the Founder /President of the Board and is the spokesperson for the Chapter's 120 members. Sierra Poppleton graduated from Brigham Young University-Idaho with her B.A. in Photography (www.sierrapoppleton.com). She is the founder of BYU-Idaho’s Last Voice Standing and has served as the director of their dance and sports program. She has a passion for theatre, dance, sports, business and plans to return to school to get her M.B.A. in the future. Glenna Trone has experience in both photography and videography with a background in theatre. She first became involved with Americas Finest Sound as technical support in 2014. Soon, she expanded her skills in media through the School For Creative Careers. Her enthusiasm for media production continues to grow through her involvement with Save Starlight. Alan Ames from Ames Universal is an Internationally acclaimed Award-Winning media production and consulting firm specializing in live event production, internet broadcasting, animation, post-production and distribution. With over thirty years of professional entertainment industry experience. Debbie Glivar Roberts is an award winning musical theatre expert with more than four decades of experience. Recognized as a gifted soprano vocalist she has appeared in more than 150 musical productions, concerts, television specials and recordings throughout the United States and Europe. Debbie studied classical and Broadway voice with two of New York's finest vocal coaches, Felix Knight and Marni Nixon. As a musical and vocal director, conductor and musician, Debbie has worked with students of all grade levels and ages. Her passion for inspiring and teaching children has lead her to become one of San Diego's most highly sought after voice and audition coaches. Bill Biersach senior lecturer at USC Thornton, studied electronic music at USC under current faculty member Frederick Lesemann. He taught beginning and advanced Synthesizer Techniques classes from 1975 to 2009, and assisted Richard McIlvery in revamping and expanding the Recording Arts Workshop program, which later became the Music Industry program, from 1984 through 2003. John Bolthouse is the executive director of the Friends of Balboa Park . He graduated from the University of Louisiana at Monroe with a degree in air transportation and aviation sciences and a master’s in nonprofit leadership and management from the University of San Diego. Rita Cartwright Cantos first took the stage when she was 14 — Starlight Opera put her in a production of “Bye Bye Birdie.” She’s been “addicted” to being up there ever since, although she’s done some writing and teaching (in human rights and women’s issues) along the way. Ed Witt a local business owner at Witt Lincoln is dedicated to making the community a better place for all. He has committed much of his time towards helping the less fortunate in our local community. Currently, Ed Witt is the Chairman of the Board at Father Joe's Villages and is proud to support this communities children by sponsoring the Father Joe's Children's Charity Gala. His passion for helping the community has led to his recent involvement with Save Starlight as an adviser. Alexandra Germon is a real estate agent and former radio personality whose show supported small businesses on a local AM 1170 radio. She is passionate about causes that change people's lives. Alexandra devotes her time to helping Save Starlight to be recognized as pillars of San Diego's community. Dan Woodard is an alumnus of UC San Diego and received his Juris Doctorate from Loyola Law School in Los Angeles in 1986. He’s been an attorney in private practice since then. In addition to nearly 30 years in estate planning and litigation practice, he’s mediated nearly 1000 disputes. He was honored by the Los Angeles Superior Court as the Probate mediator of the year in 2010, 2011, and 2012. He has been a member of numerous Boards of Directors and been counsel to multiple non-profit organizations over the past 25 years. Steve Woodard A Graduate of Denver University (DU) achieving a degree in Business with an emphasis in Finance. He is a local Businessman and Entrepreneur with 20 years of experience in Business Development and Strategic Planning and Startups. Having previously held senior leadership roles in Fortune 50 companies as well as Start-ups in the Healthcare Sector, Steve brings a wealth of experience and demonstrated success is all aspects of Business Development, Sales, and Operations. Jennifer Crespo graduated from the San Diego School of Creative and Performing Arts and also is a San Diego State University alumni. She has worked as a performer at Disneyland and Sea World. At the YMCA, she served as site supervisor and Specialty Camp Coordinator for the La Jolla location. As an instructor to the School For Creative Careers she has been involved as a coordinator to after school programs. Jen performs regularly along with her husband Marc Crespo on the mainstage of San Diego National Comedy Theater. As a non-profit organization, Save Starlight relies on generous donors who help us reach our vision for Starlight. All funds go towards restoration, uplift costs, operations costs, and marketing costs. Donate through our website today! In some cases large companies or corporations offer Corporate Matching Gift programs to their employees. Ask your employer to see if your company offers this amazing opportunity! See Press Releases and Press Archives here.